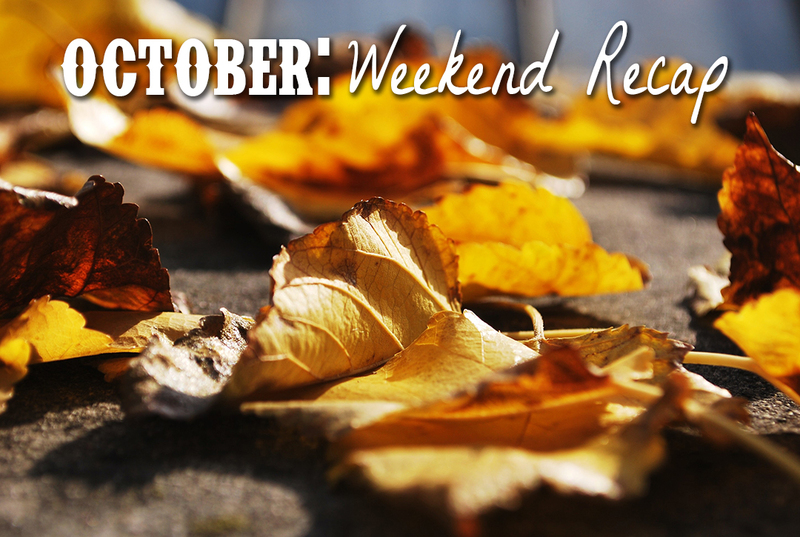 Did you guys have an awesome first weekend of October? Because it's October now, and I seriously can't believe it. Where did most of 2014 go? Anyways, I started this month off with a hell of a weekend. And I thought since I hadn't don't a weekend re-cap in a while that it might be appropriate. Friday night I got home to a mowed lawn and a cleaned out and organized garage. I about killed over in shock. Best start to a weekend ever. 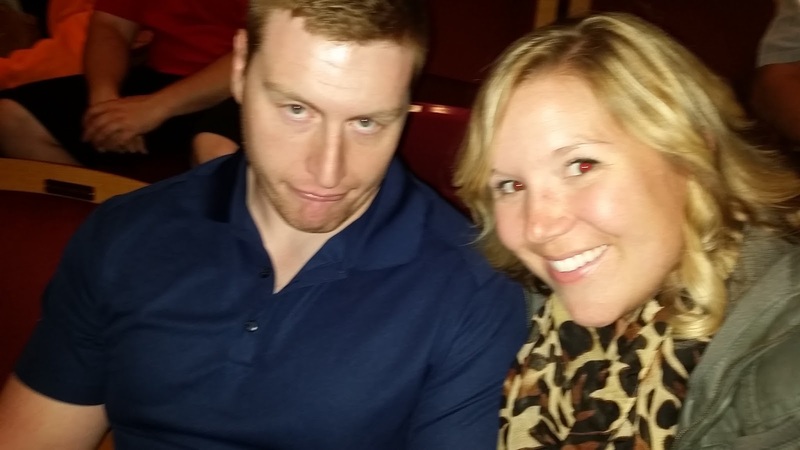 That night only continued to get better as we had a date night at a local pizza place followed by seeing Jim Gaffigan! Are you a fan? Here's a little peak at one of my favorite comedians. Saturday I was up bright and early for breakfast with my mom, and then we headed to See Spot Walk. Remember that dog pool party I talked about earlier this year? Yeah, this is that event on steroids! 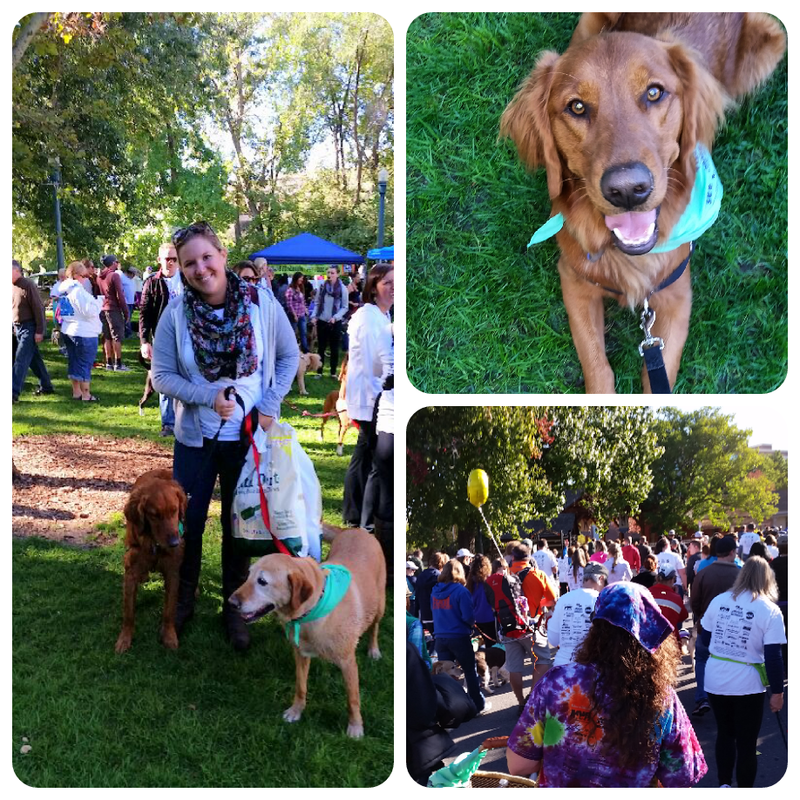 Thousands of people and their dogs come out for this walk and festival every year to raise funds for our local shelter. 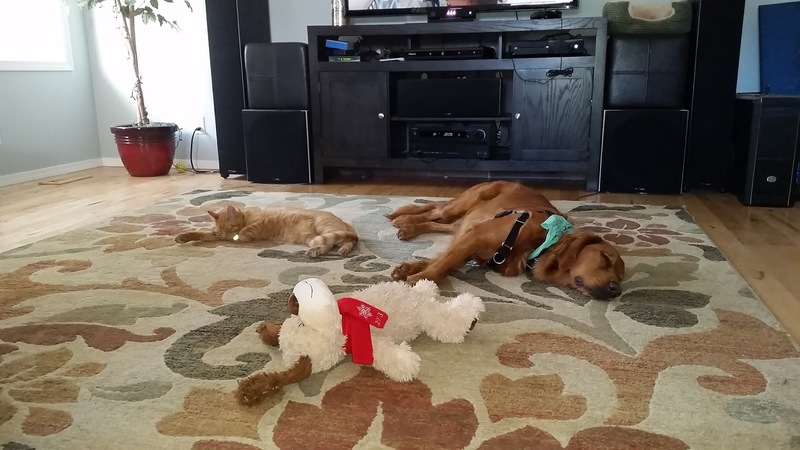 It's a giant dog party! The event has tons of booths with free goodies for your pup and then there is a 1 mile group walk followed by entertainment. My favorite part is the doggie costume contest! Gunner had an absolute blast and slept the rest of the day. Later that night after a little yard work and cleaning, we met up with a group of friends to go to the BSU watch party being held at the new fancy movie theater in town. Seeing the game on the big screen was awesome! Unfortunately all of our friends were more focused on drinking than the game, so I rolled solo in the theater quite a bit. 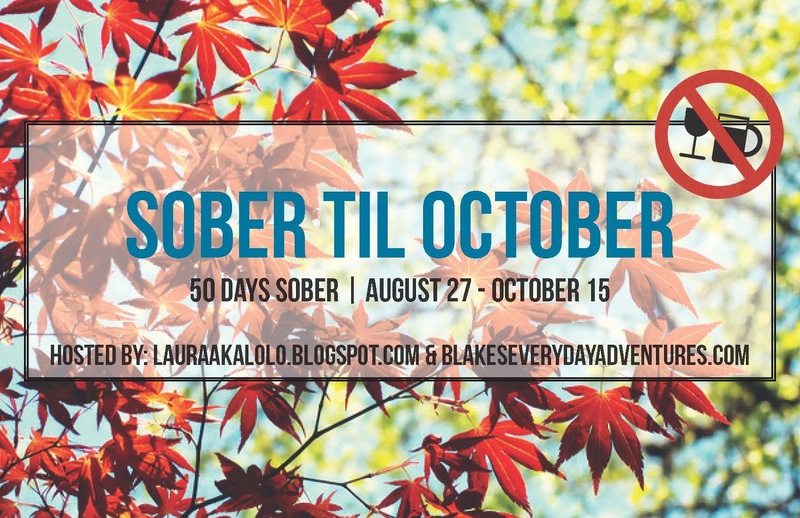 Sober 'till October challenge is almost up though! Only about a week to go!!! Obviously these two were very helpful. That night we had dinner with my parents. My mom made crock pot lasagna and it was awesome! Plus my dad just got back from a week long elk hunt, so it was fun hearing all his stories. They got one! I am excited for fresh elk meat! It was the perfect ending to a great weekend. Only one more weekend in town and then it's off on our big October trip to Hillary's wedding! Seriously I cannot believe it's October already! I. Love. Jim. Gaffigan. sometimes when it gets really awkward + silent I go into his hot pockets routine. I can't help it... looks like you had an incredible weekend! Jim Gaffigan is probably my favorite comedian. He has a new book coming out--Food a Love Story. I read his Dad is Fat book and it was hilarious. I can't wait to read the next. 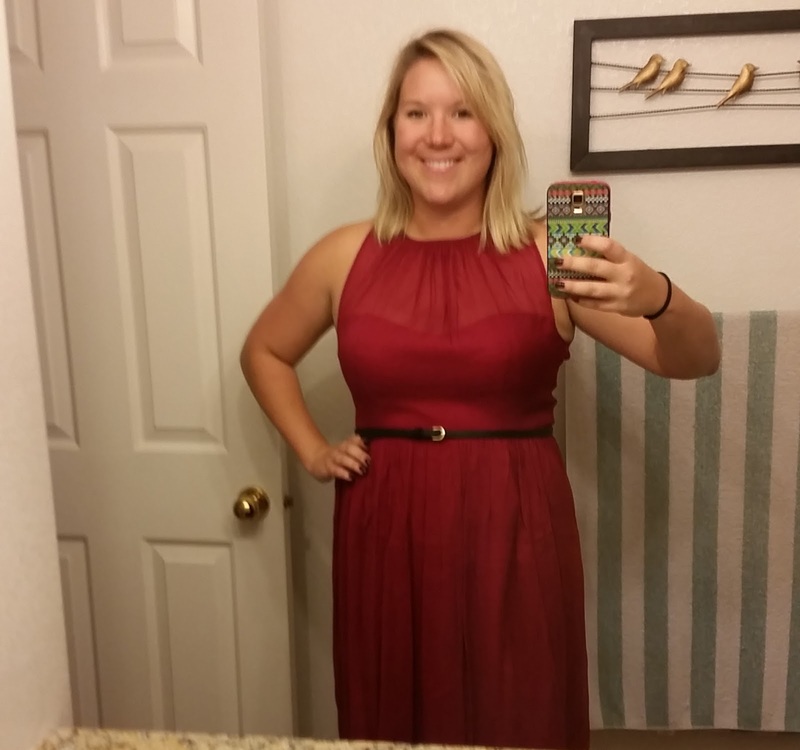 You look great in that dress! Isn't it an amazing feeling when something finally fits! ?